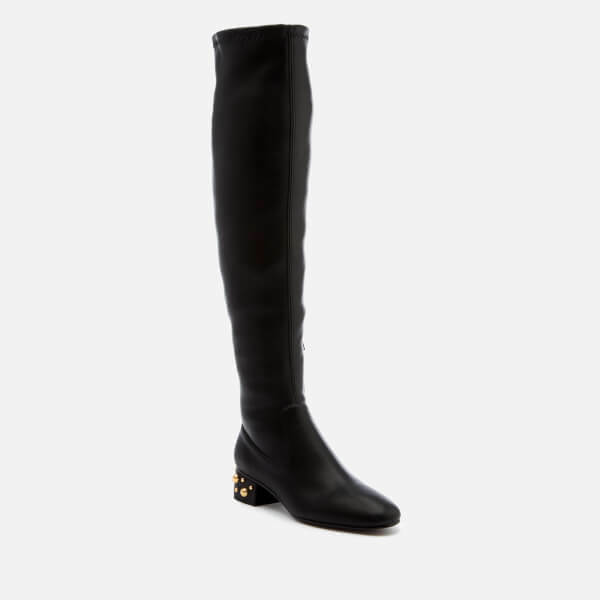 Women’s thigh-high leather boots from See By Chloé with a low embellished block heel adorned with gold-tone domed studs in varying sizes. Constructed from buttery-soft nappa leather uppers, the boots feature an almond toe silhouette, internal quarter zip fastening and rubber island to the outsole for enhanced grip. Shaft Height: 20”. 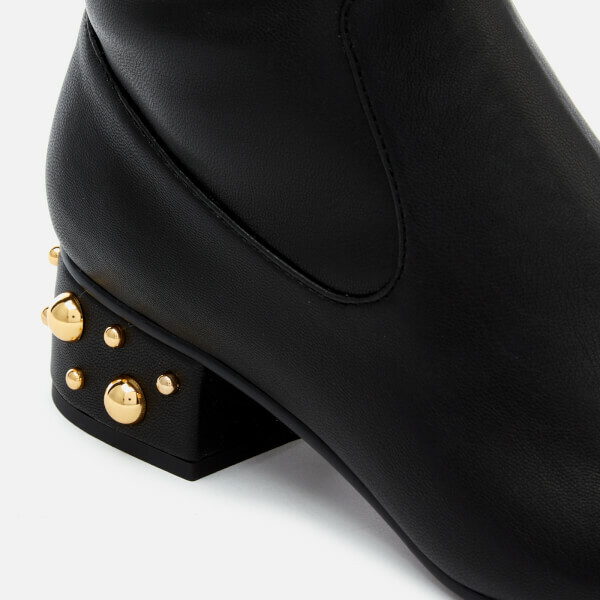 Heel Height: 1.5”.